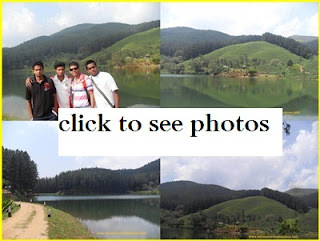 Sembuwaththa Lake is situated in Alkaduwa tea plantation of Sri Lanka. The Alkaduwa tea plantation is situated in Matale district you can use two ways to arrive to the Sembuwaththa Lake. you can travel via wattegama to Alkaduwa road or Matale to Alkaduwa road. It is located about 14 km from wattegama. If you can use four wheel vehicles it will be easy. This tourist destination is still unpopular among tourists. If you stay at Hunas Falls Hotel, which is close to The Alkaduwa don’t forget to visit this amazing tourist destination. Many tourists like to visit hill country of the Sri Lanka .the Alkaduwa tea estate facilitates to tourists to visit this place. You should buy a ticket to entrance from Ticket counter which is corralled by Alkaduwa estate. You can see the green tea plantation around the sembuwaththa lake .If you visit the Matale district of sri lanka you don’t forget to visit sembuwaththa lake.